Jochen Zaeschmar initiated the New Zealand false killer whale research programme in 2005 which eventually led him to realize his vision of creating Far Out; a platform for collaborative research on the open ocean environment. He is a conservation biologist with an MSc from Massey University, Auckland on the ecology of New Zealand’s little-known false killer whales. Jochen is a commercial skipper and owner of Far Out’s main research vessel, the Manawanui. Passionate about marine conservation, he is a member of various conservation groups and dedicates much of his time to the promotion of greater awareness and appreciation of the ocean and its inhabitants. He lives and works in the Bay of Islands. Tom is an experienced marine ecologist with a background in population biology, spatial ecology and distribution studies of marine mammals. One of Tom’s major areas of interest is in the understanding of the habitat characteristics that drive when, where and why marine top-predators aggregate. This has led to a diverse skill set including habitat mapping, oceanographic sampling, prey sampling, remote sensing, hydro-acoustics, passive acoustic monitoring, scientific diving and top-predator surveys. 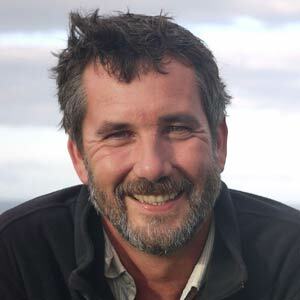 Tom also has a strong interest in marine protected areas and is involved with establishing biological monitoring programmes for several south island marine reserves. 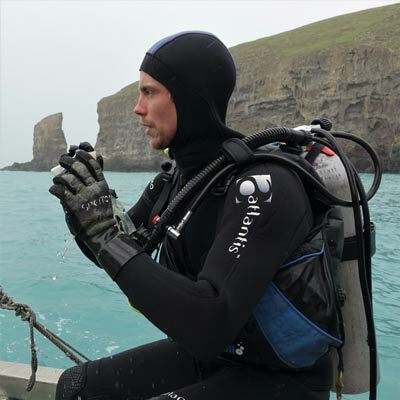 A personal interest in all things marine particularly sailing, freediving and surfing cements Tom’s involvement with the sea and his desire to understand and conserve its values. Tom is currently enrolled in a PhD programme at Otago University, studying Hector's dolphins at Banks Peninsula. 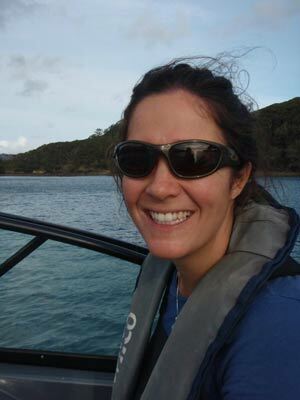 Sarah is a marine ecologist based on Great Barrier Island, New Zealand. She received her PhD from Massey University in 2015. Her doctoral research focused on the spatial ecology and conservation of cetaceans using the Hauraki Gulf, North Island. This work involved distribution modelling of whales and dolphins, and identified a previously unknown hotspot for New Zealand coastal bottlenose dolphins. Sarah is experienced in a range of marine surveying techniques including aerial line-transect surveys for marine megafauna, boat-based visual surveys for marine mammals, photo-identification, and coral reef health assessments. She is passionate about protecting New Zealand’s natural heritage from ridge to reef and beyond, and is excited to be part of a team who share her conservation and educational values. 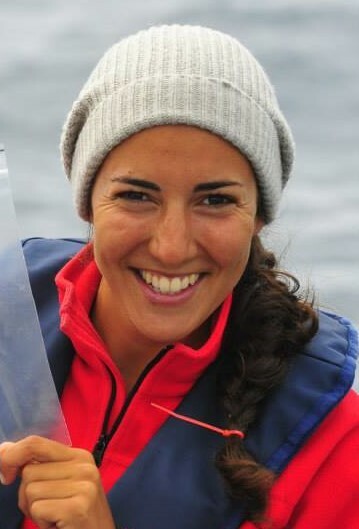 Marta Guerra is a marine biologist, with a strong focus on the ecology and conservation of marine mammals. Her main research interests include species-habitat relationships, food webs, behaviour, and anthropogenic impacts on wild populations. She is a PhD candidate at Otago University. Her current research focuses on the ecology of sperm whales in submarine canyons. Marta actively participates in projects involving the local community, and is particularly passionate about communicating the importance of marine conservation to younger generations. Lily is a marine biologist with an MSc from the University of Auckland on the spatial ecology of cetaceans in the Hauraki Gulf. She has been involved with megafauna research and tourism since 2006 in NZ and Tonga. 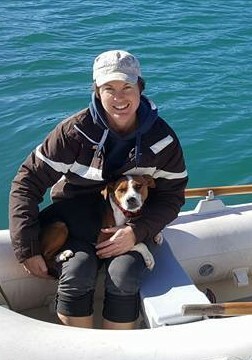 An experienced skipper, Lily’s passion for the open ocean environment first came about through offshore sailing, first as crew on yachts in Europe and Central America, which led to her sailing her own 40 ft yacht, Amadis, from the UK to NZ in 2004 – 2005. Lily enjoys using photography, both as a research tool and also to inspire and educate a wider audience and has had several exhibitions of work in the UK. She hopes to further this through other media such as magazine articles.